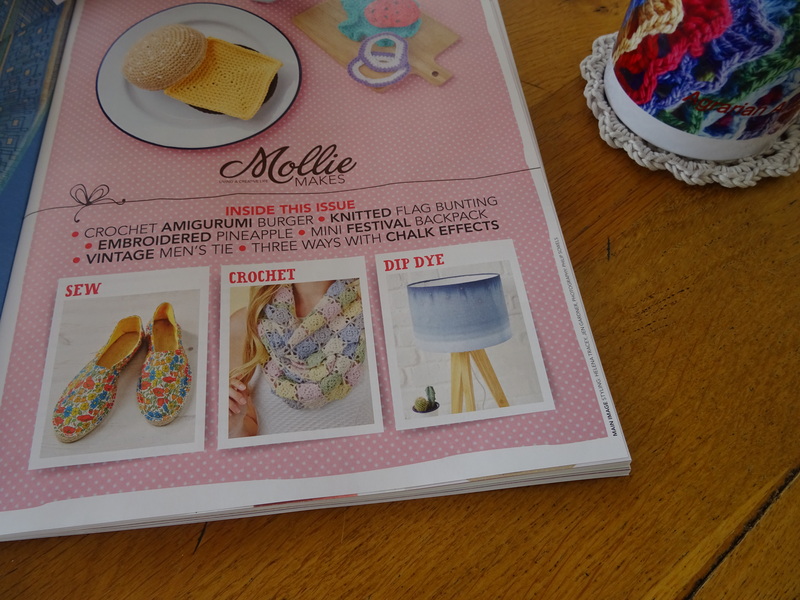 I have worked as the crochet tech editor for Mollie Makes for a few years now, and it’s a great magazine to work for, not least because all the people I work with there are truly lovely. However, I have never submitted any designs before; you see I don’t submit designs to any magazine often as I like to work at my own pace and don’t want the stress of deadlines. 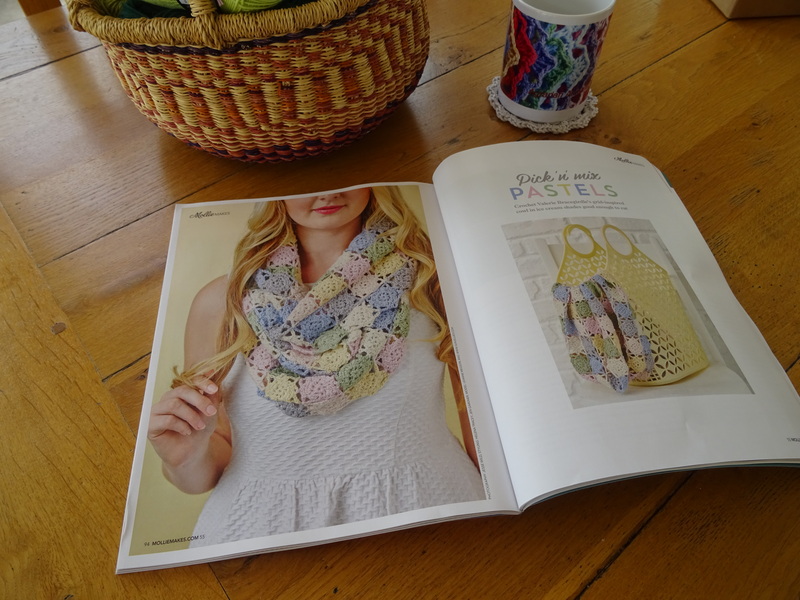 In this instance I was partway through making the cowl and just sent a photo of it to the Deputy Editor (yes, partially made with lots of loose ends – in fact the photo didn’t look at all good!). So I was very happily surprised to find they wanted it! Having the evidence of the publication before my eyes, I settled down to a cuppa and enjoyed reading it. I can’t help lingering over my design though – the photography and layout is wonderful, they have done me proud. The cowl was a dream to make, because the motif is straightforward, quick to learn and easy to join….and the yarn I used was Drops Baby Alpaca Silk which is sooooo soft (and great value for luxury fibres at less than £4 per ball). I would love to see any cowls made to this design, so if you are tempted to make one please do share a photo with me. It’s a lovely cowl, you should be very proud. It certainly is a beautiful cowl. And congratulations…well done!